Krispy Kreme is renowned to served Melt-in-your-Mouth Doughnuts and Coffee to Americans since 1930s. 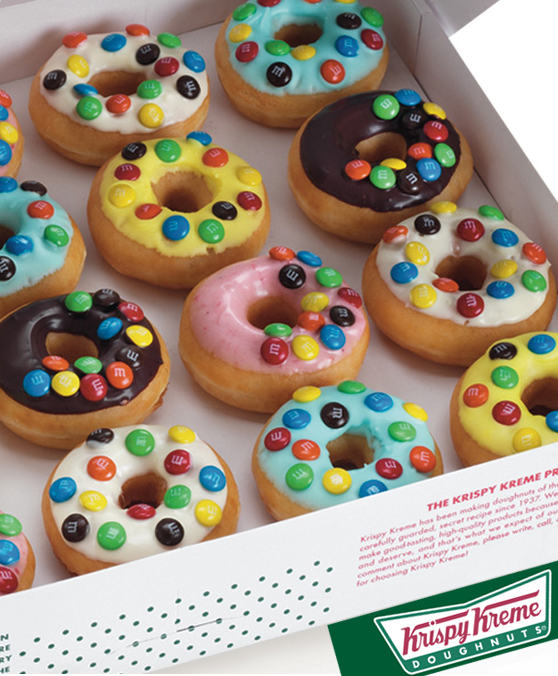 Krispy Kreme has been serving the world’s famous Original Glazed, yeast-raised and cake doughnut varieties, Signature Coffee and its different hot and cold variants. All of the above will be offered in Krispy Kreme Cebu Store Branches at Ayala Center Cebu-Activezone and another in Asiatown IT Park- Asia Premier Residences come October this year. What to Expect in Krispy Kreme Cebu Stores October opening? 1. Krispy Kreme has passion for fun and excitement, the first customers might get a month or even a year long supply of Krispy Kreme doughnuts! 2. Krispy Kreme Cebu branches will also feature "Hot light," a neon sign that, when flashes outside the store, will offer customers complimentary world's famous original glazed doughnuts! 3. Making your special someone Smile with a box of Krispy Kreme doughnuts. 0 comments: on "Krispy Kreme Cebu Stores will offer original Glazed yeast-raised doughnuts"